Please join us in New London on April 2nd! in patients with essential tremor. Dr. Ashley Cristal, a Postdoctoral Researcher, and Funmi Badejo, a Postgraduate Research Associate – both at the Movement Disorders Division of the Yale School of Medicine’s Department of Neurology – will inform us about RULET, a national NIH funded study that aims to better understand the lifestyle habits of essential tremor families. Free parking is available at both the garage and parking lots on the hospital grounds. 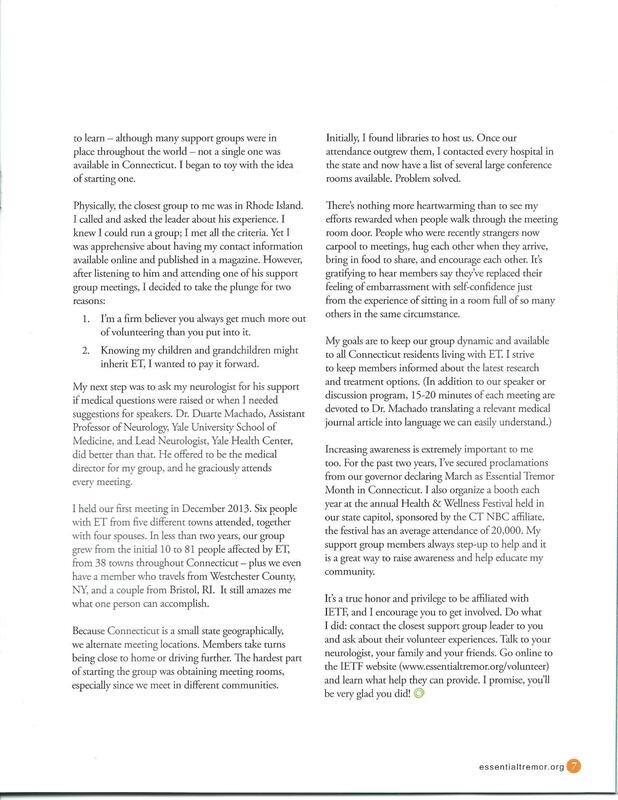 Our group is featured in Tremor Talk magazine! 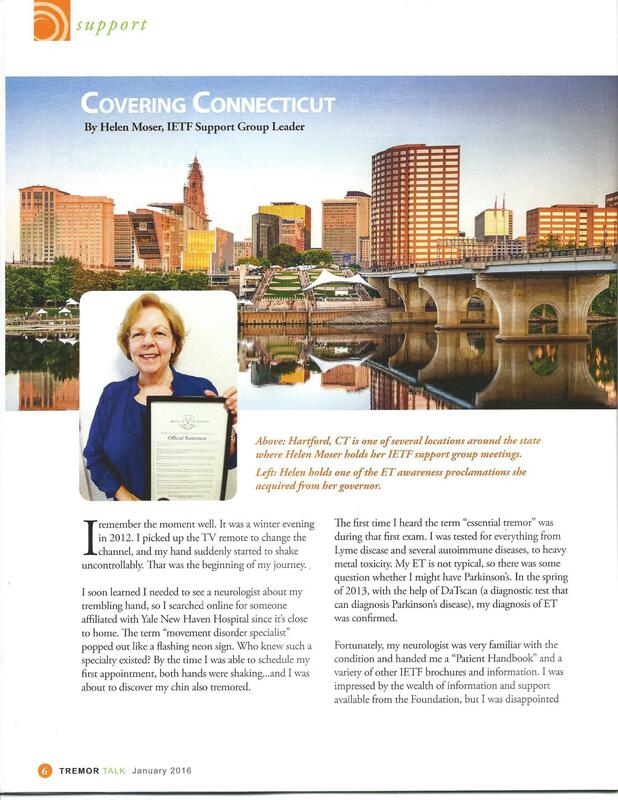 The Connecticut Essential Tremor Support Group is featured in the current issue of Tremor Talk magazine ..a publication of the International Essential Tremor Foundation!